Fringe is a common thread for knitters, weavers, sewers and textile artists around the world. It’s a metaphor for finishing the edge, binding off, completion and embellishment. Here’s what Jess wrote in Fringe Association, a blog for knitters. Jess wove this tepete (rug) in four days! 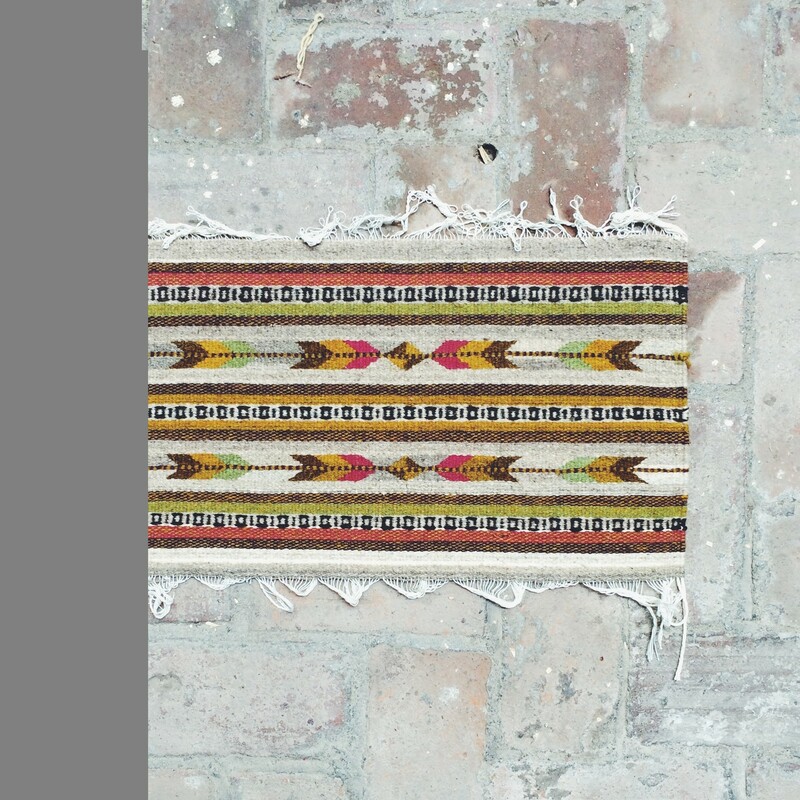 A traditional Zapotec feather pattern with naturally dyed wool: cochineal, moss, wild marigold. Jess Schreibstein came to Oaxaca for a wedding in May. She wanted to experience something special beyond the wedding celebration. So she contacted us about taking a four-day Oaxaca Weaving Workshop: Dancing on the Loom with Federico Chavez Sosa and his wife, Lola, in Teotitlan del Valle. A writer, artist, photographer, cook and founder of the D.C. Food Swap, Jess asked for customized dates that would fit into her travel schedule. We were happy to make this arrangement for her that included lodging and meals at a local guesthouse. I want to thank you personally for organizing such a wonderful trip to Teotitlan and my workshop with Federico. It was one of the richest weeks of my life, and I’m so grateful for the opportunity that you provided. Thank you! If you would like a customized weaving workshop to fit into your travel schedule, please contact us! San Francisco and Bay Area textile and fiber artists, hand-weavers and spinners are invited to attend a presentation at the Commonwealth Club of California at 12:00 noon on May 10. The Future of Tradition: Weavers of Oaxaca, Mexico Connect Their Future with Their Past. 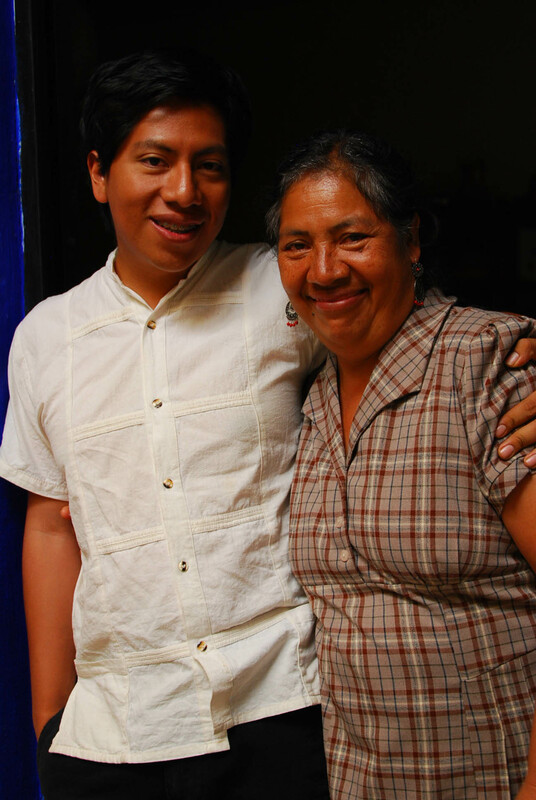 Eric Chavez Santiago, director of education at the Museo Textil de Oaxaca and Janet Chavez Santiago, education coordinator at the San Pablo Academic and Cultural Center of Oaxaca, will talk about their family’s weaving and textile traditions, indigenous life, and the professional goals they have set for themselves and their institutions. Jean Pierre Larochette, a Berkeley, Calif. weaver and leader of the American Tapestry Alliance, will introduce them. 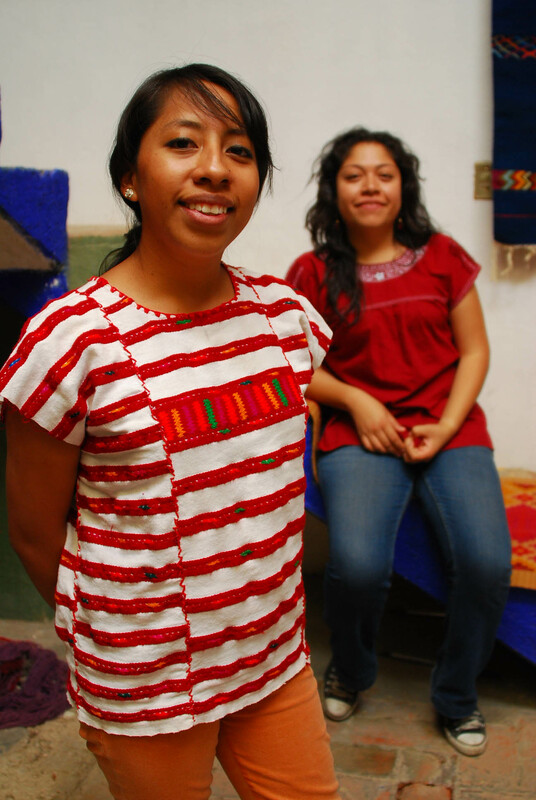 Their father, Federico Chavez Sosa, is a master weaver whose work is recognized for blending traditional Zapotec design with innovative color combinations and pattern adaptations. 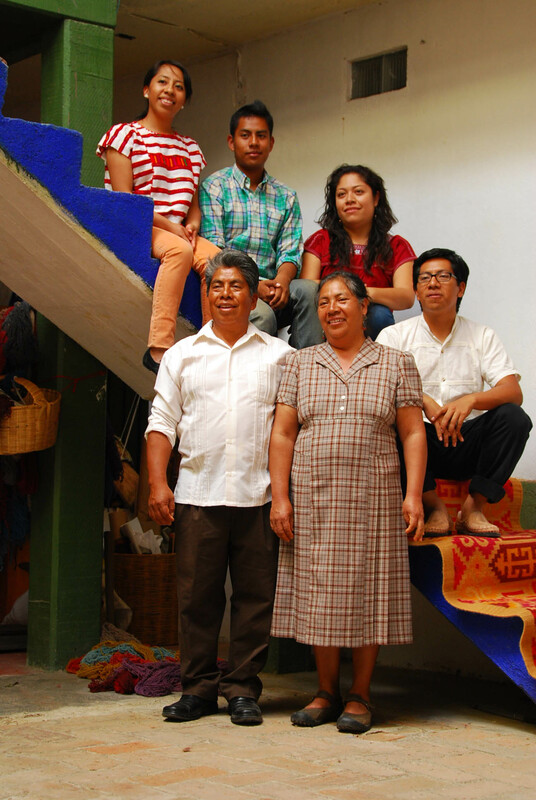 Both Janet (top, second from left) and Eric (top right) are fourth generation tapestry weavers, along with their brother Omar (top left). Eric’s novia Elsa Sanchez Diaz is to Eric’s left. 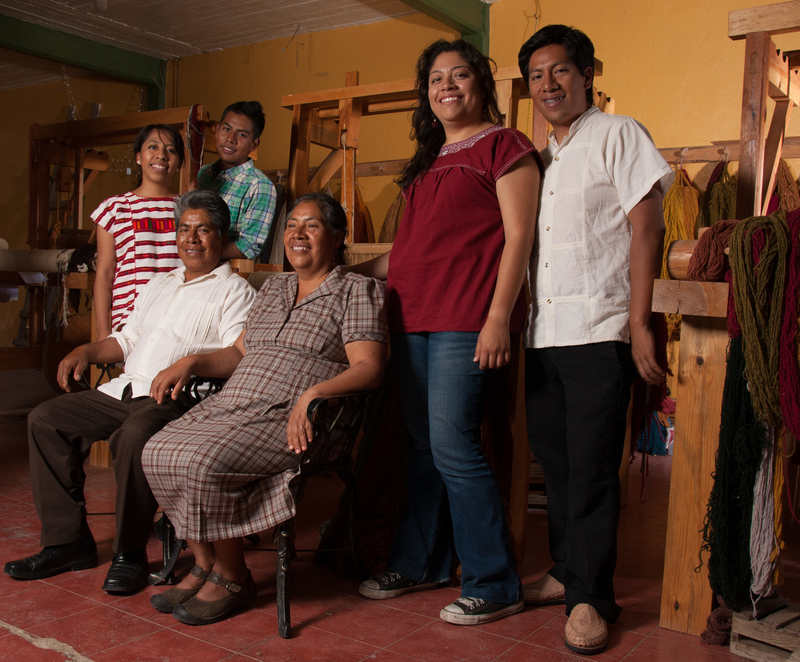 The family is committed to using only 100% natural dyes in their work. They have been featured in the NY Times article 36 Hours: Oaxaca, Mexico by travel writer Freda Moon. Eric and Janet are in the Bay Area at the invitation of the American Tapestry Alliance. This summer! Weaving and Natural Dye Workshop with Federico Chavez Sosa and the Chavez Santiago Family Weavers in Teotitlan del Valle, Oaxaca, Mexico, produced by Oaxaca Cultural Navigator LLC. In addition, Federico accepts commissions for custom work and when you are in Oaxaca, please visit them at Galeria Fe y Lola, Av. 5 de Mayo #408, Centro Historico. Questions? 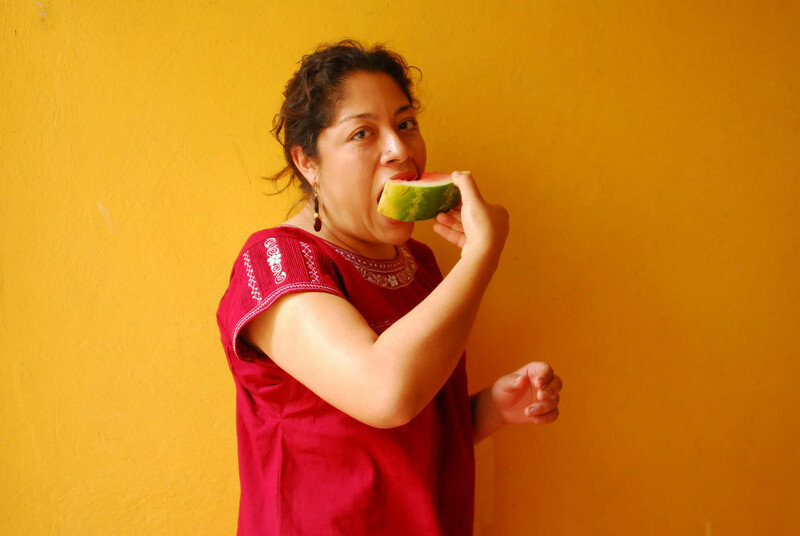 Contact Norma Hawthorne, executive director, Oaxaca Cultural Navigator LLC. It’s Good Friday and our fifth portrait photography workshop day. Between the “on the fly” street photography of village life and religious processions, we visited the home and studio workshop of master weaver Federico Chavez Sosa in Teotitlan del Valle. If you have ever sat for a family portrait in a photographer’s studio, you know how complicated it can be when four or five or six people get together to have their picture taken. When one person smiles, another can frown or someone can invariably have their eyes closed. It’s the photographer’s greatest challenge, I discovered, to keep everyone smiling at the same time and looking straight into the camera’s lens. Pan Comida today — Piece of Cake! Fortunately for us, Federico Chavez Sosa, his wife Dolores Santiago Arrellanas, and their children Eric Chavez Santiago, Janet Chavez Santiago, Omar Chavez Santiago, and Eric’s novia Elsa Sanchez Diaz were great subjects. There was a lot of laughter going on during and between the takes. Everyone in this family is a weaver. In addition to master weaver Federico, Dolores is also adept at the two-pedal floor loom, and all the children know how to weave. Eric is the director of education at the Museo Textil de Oaxaca, Janet is the educational docent at the new San Pablo Academic and Cultural Center in the historic center of Oaxaca, Omar is a student entering university this fall, and Elsa is the administrator of an art glass blowing studio in San Augustin Etla. 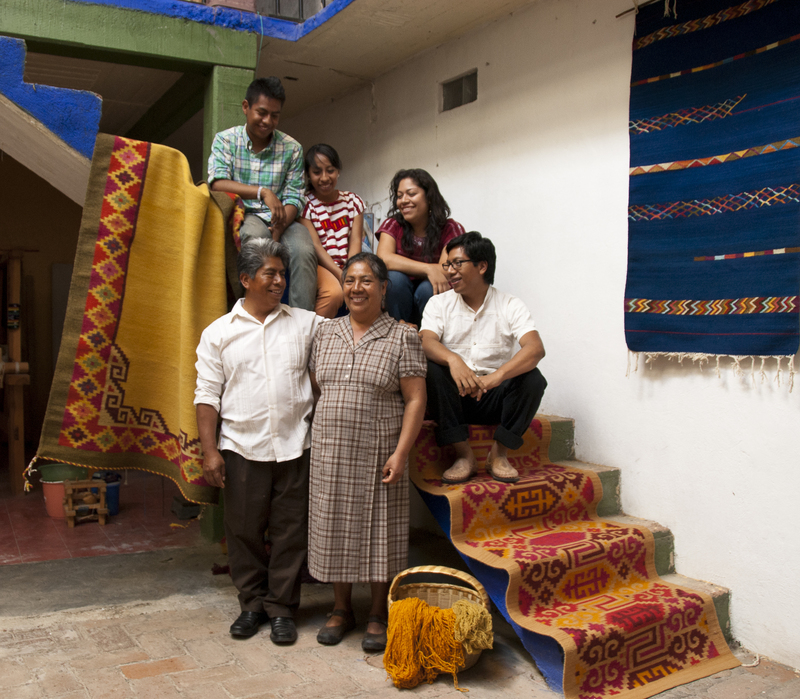 What distinguishes this family is not only their knowledge about weaving and Oaxaca textiles, but their use of one hundred percent natural dyes to prepare the wool they use to weave rugs (tapetes). They prepare their own dye materials, using environmentally sustainable plant materials such as pecan nuts, wild marigold, pomegranates, indigo and the famous bug on the cactus plant, the cochineal. We got both formal and informal photos. And, at the end of our hour together, we toasted with a bit of mezcal. The family operates Galeria Fe y Lola in Oaxaca’s historic center one block from Santo Domingo Church in the courtyard at Av. 5 de Mayo #408. They are there almost every day except Sunday from 11 a.m. to 6 p.m. Check out our next photography workshop: Oaxaca Photography Expedition-Market Towns and Artisan Villages, set for summer 2012. In the spirit of my own continuing education, I went to the Apple Store last night for a tutorial about how to make an iMovie using my photographs. My computer is storing over 6,000 photos — many of which are published on this site. I learned the basics and am now experimenting, so hopefully, over the new few weeks, I’ll be able to translate still photography into a visually appealing presentation for your viewing pleasure. Hopefully, this works! 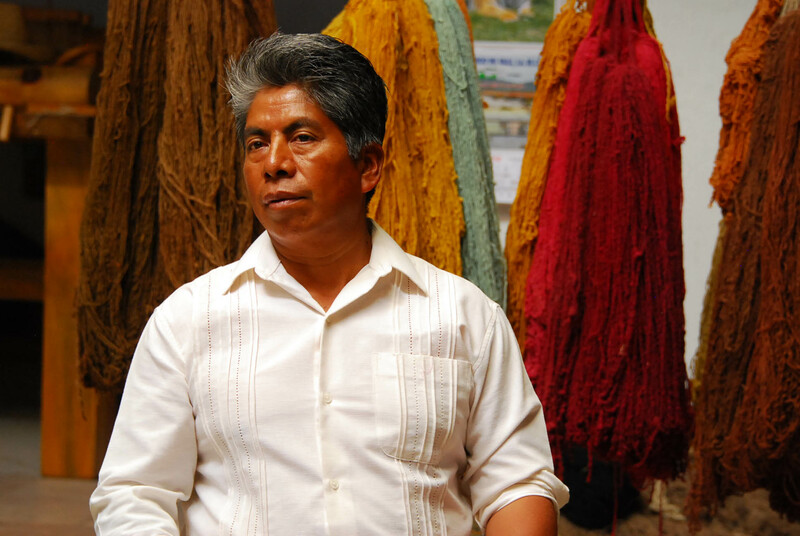 The video I created here features many fine examples of the hand-woven, naturally dyed tapestry weave textiles made by The Chavez Santiago Family Weavers in Teotitlan del Valle, Oaxaca, Mexico. 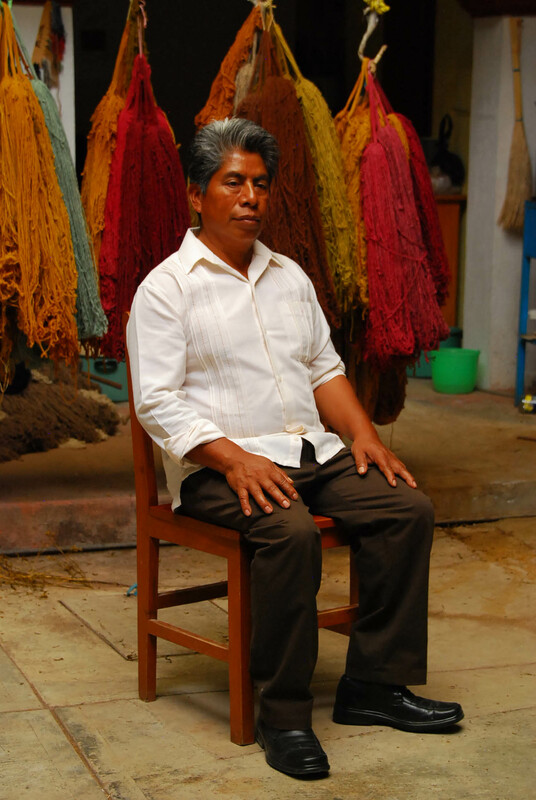 Federico Chavez Sosa, the head of the family, is a master weaver, as is his wife Dolores Santiago Arrellanas. They and their children, Eric, Janet and Omar Chavez Santiago are also shown in the video interspersed with village scenes. The music is by Susana Harp. This documentary film is a visual feast for the senses that takes us on a sensory journey across Oaxaca, Mexico. Here we meet the exemplars – the outstanding artists, artisans, and curators who are keeping the weaving traditions alive. This film captures sense of place, history, culture, and diversity. It creates a vital thread from past to future, linking the emotional and aesthetic work that goes into the creative process with the economic implications of survival for the art and the culture. Featured are extraordinary weavers who work on the two-harness floor loom, the back-strap loom, and use fly shuttle weaving. We learn about the process of cultivating, spinning and weaving silk. We understand the environmental and sustainable responsibility for using natural dyes, and the importance of finding world markets to sell so that the culture endures. There is so much that this 1:16:19 DVD film by University of Wisconsin-Madison professor Carolyn Kallenborn covers in such a relatively short period. And you can choose to watch in English or in Spanish. 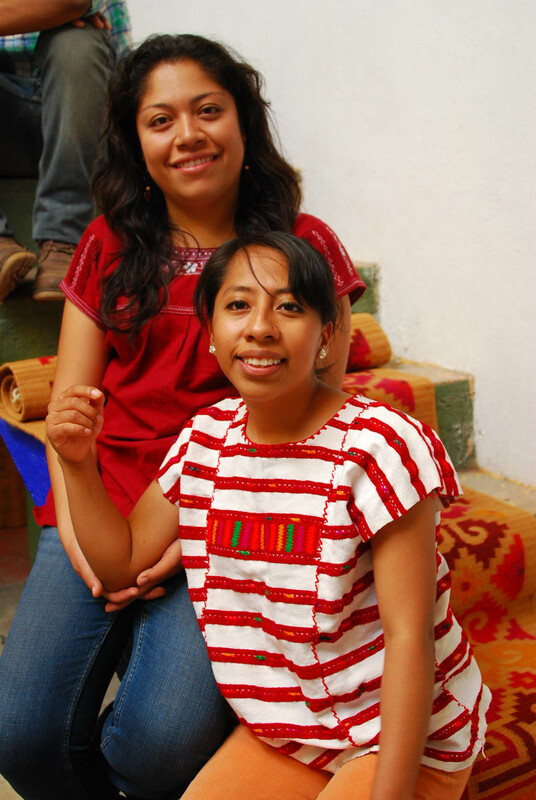 We hear the Zapotec language spoken and how its revival is a way to sustain cultural traditions. We appreciate weaving as a community endeavor to support generational continuity. We learn how designs are created on the tapestry loom extrapolated from archeological stone carving. We see how the cochineal bug is cultivated on the prickly pear cactus and the chemical oxidation of indigo. 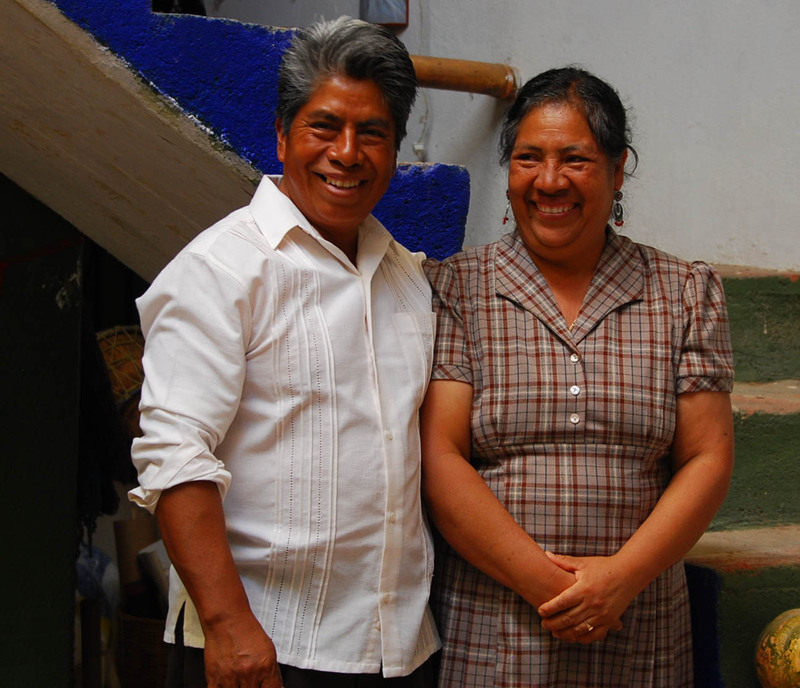 To ground us, life in Oaxaca is interwoven throughout. 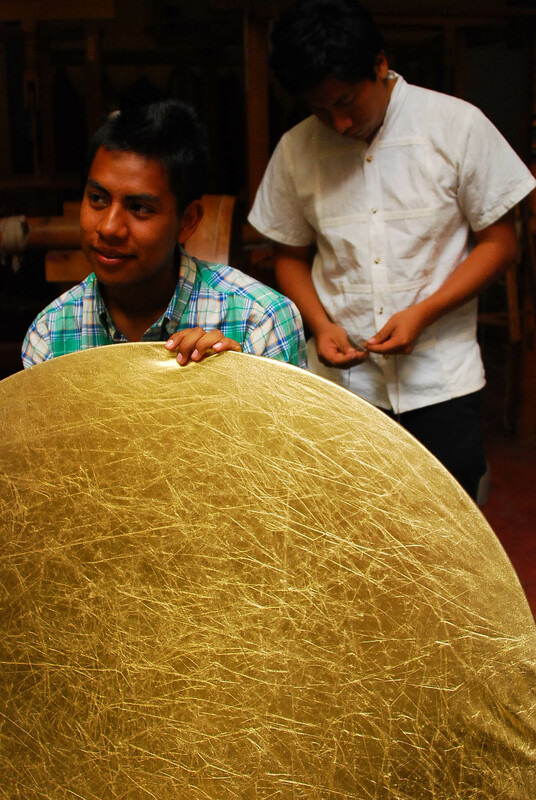 We discover how American students can intern with Oaxaca weavers for cultural exchange. We realize that it takes 20 days to hand spin enough silk to make one shawl and five days to weave it. We come to value the time and energy it takes to work by hand — to wash, card, spin, dye and weave a quality textile. Carolyn Kallenborn’s in-depth film is ambitious, comprehensive, and compelling. It is a must-see for every lover of woven art, every student and teacher who is involved in the creative process, and all who want to know more about Oaxaca and its extraordinary textile traditions. 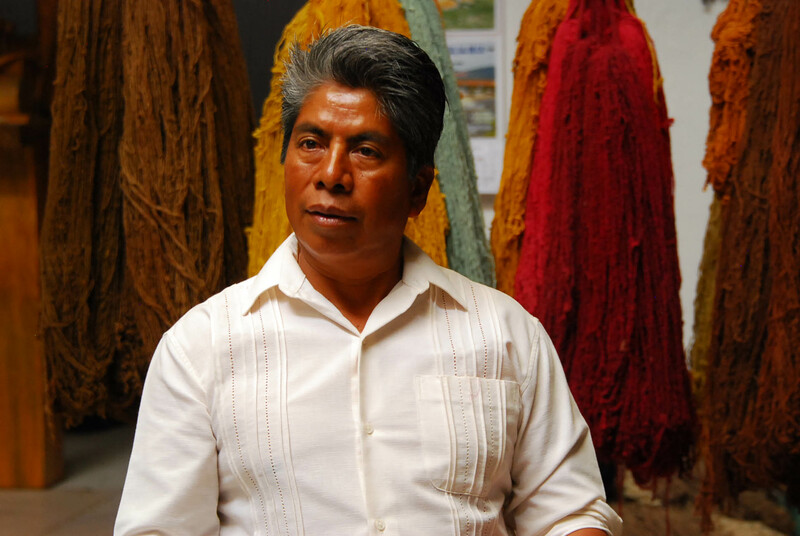 Federico Chavez Sosa’s handwoven rugs made with naturally dyed wool are available for sale on this web site. Click on Gallery Shop Here under the photo banner.